A clean, comfortable space with plenty of working room. If you need a studio by the hour or half-day in Center City Philadelphia, Studio 313 might just provide the comfortable, functional, convenient place you need. Studio 313 resides in the Wolf Building in Center City's burgeoning loft district. Parking is plentiful, both street and pay lots, and the site is convenient to both highways (Vine Street expressway, I-95 and I-76) and public transportation (just 4 blocks north of Market East Station). 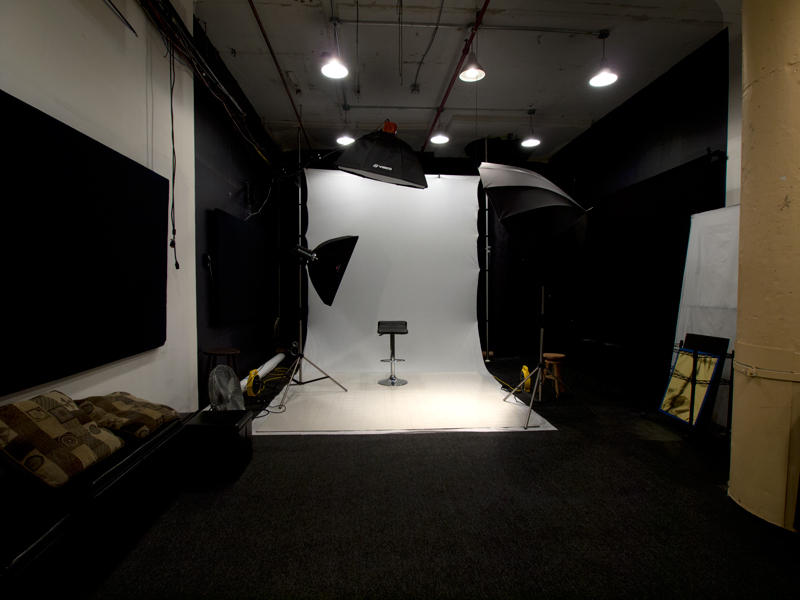 The studio is spacious at 30' x 16' with 12' ceilings, and features white and black backdrops as well as hangers for seamless paper and muslin backgrounds. Every modifier needed, from softboxes to 7' parabolic umbrellas to beauty dishes, is available. You can dim the overhead lights for maximum ambient light control. There are bathrooms just steps away, and the space features an in-studio dressing area, work desk, fridge, and lounge area. Wireless internet provided, as well as speakers for music. This facility is designed for the light control freak. No windows let in outside light, ambient lights are dimmable, and over 90 percent of the surfaces in the room are neutral white, black or gray. 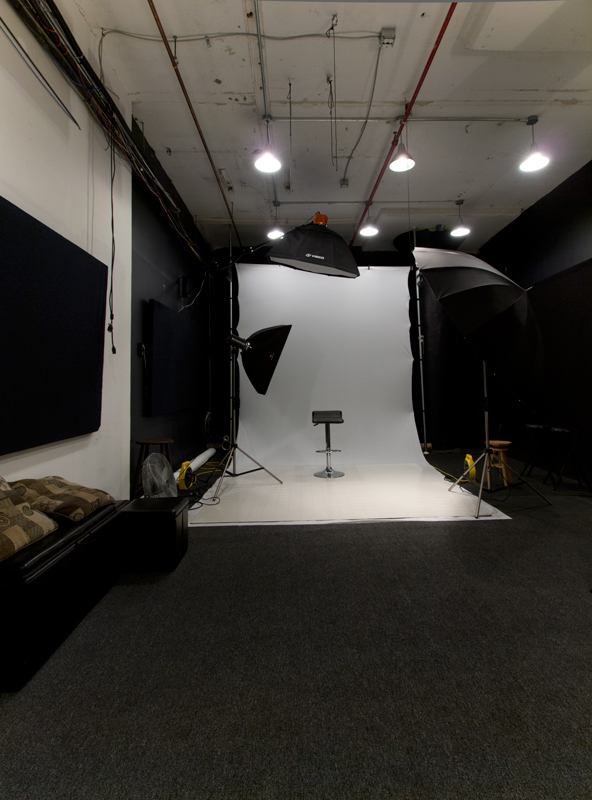 Studio 313 is located in a secure elevator building with manager on premises. There are currently three part-time photographers sharing the space. I rent by the hour and half-day as well. You can bring your strobes or rent mine (White Lightning and Alien Bee units). I also provide continuous lighting options. If you are coming from out of town and need grip or supplies, Webb Cam, a full service photo supply store, is one block away, as is Philadelphia Theatrical Supply. Webb also rents Nikon and Canon cameras & lenses and some lighting gear. Other lens rentals are available locally as well. There is also a makeup artist close by who offers reasonable rates for service either in her salon on on site. In addition, the surrounding area has lots of industrial and urban backdrops for shooting, and the famous Graffiti Bridge coal pier is a couple of miles away. Email if you want to take a closer look at the space, or call 215-821-7489 to check availability. 30 foot length means plenty of shooting space and lens choice. 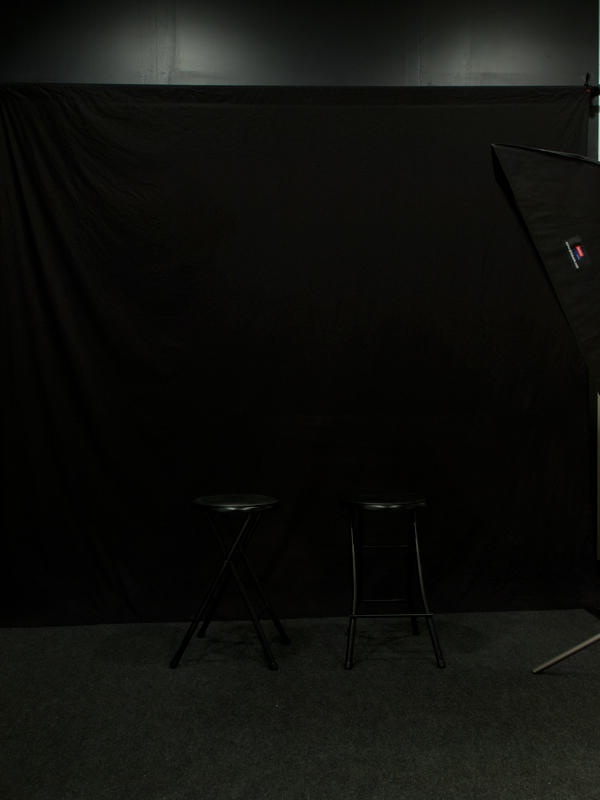 Basic shooting area features white wrinkle-free Westcott white backdrop and paper hangers. Wall mounted overhead boom light. Black backdrop area on side wall for dramatic portrait, physique, and head shots. Private dressing area with clothes rack, vanity and mirror. Seating area with leather chairs.